Being certified on the International Standard ISO 9001:2008 Quality Management Systems Requirements, PSAA is aiming to get certified on the new International Standard ISO 9001:2015. 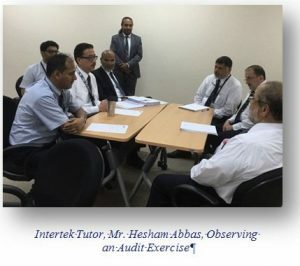 In the process of transitioning to ISO 9001:2015, PSAA has arranged with Intertek Saudi Arabia Ltd. to conduct two courses at PSAA; namely, ISO 9001:2015 Transition Awareness Course and ISO 9001:2015 Internal Auditor Course. 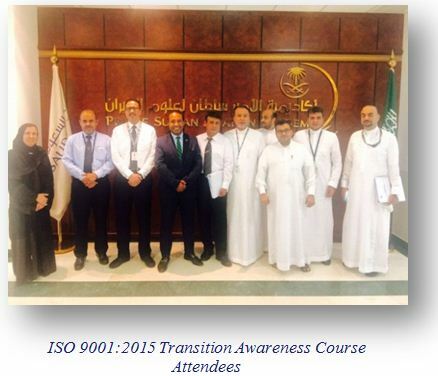 The former course was attended by management personnel from various PSAA departments on 17-18 MAY 2016; the attendees had an overview of the key changes as well as a clause-by-clause review of ISO 9001:2015. The latter course was attended by nominated PSAA personnel on 01-02 JUN 2016. 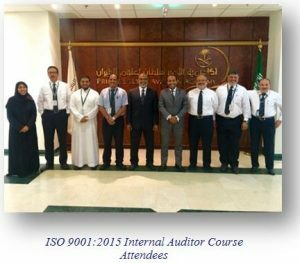 The course provided participants with knowledge and skills required to perform internal audits of Quality Management System against ISO 9001 in accordance with ISO 19001.